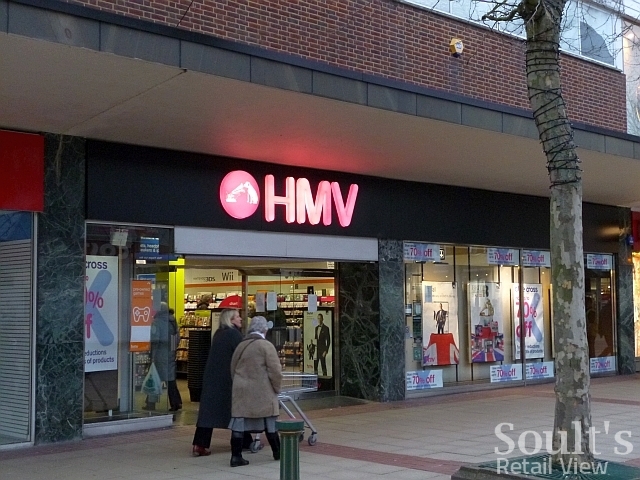 It’s been nearly three months coming, but now the news that everyone wanted to hear has been confirmed: the iconic entertainment retailer HMV, which collapsed in January, has been bought out of administration by Hilco, saving 141 stores (listed here) and 2,500 jobs. That total includes the nine stores that trade under the Fopp fascia, as well as 25 shops that had previously been earmarked for closure by the administrator Deloitte. 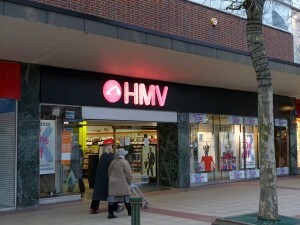 Some branches that had been destined to shut – including in Edinburgh’s Princes Street, Leamington Spa, Nuneaton and Newport – had already hinted at an imminent resolution earlier this week, with the appearance of posters saying “We’re here to stay!” In the North East, Darlington, Metrocentre, Newcastle and Sunderland are all confirmed as safe, while Middlesbrough – previously on the closure list – also gets a reprieve. 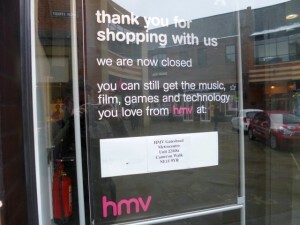 Though the rescue is too late for the 90 or so HMV stores that have already closed their doors – such as the Durham branch, above – an estate of 141 shops is still at the upper end of what retail commentators had expected to emerge from HMV’s collapse, so is to be welcomed on that basis. 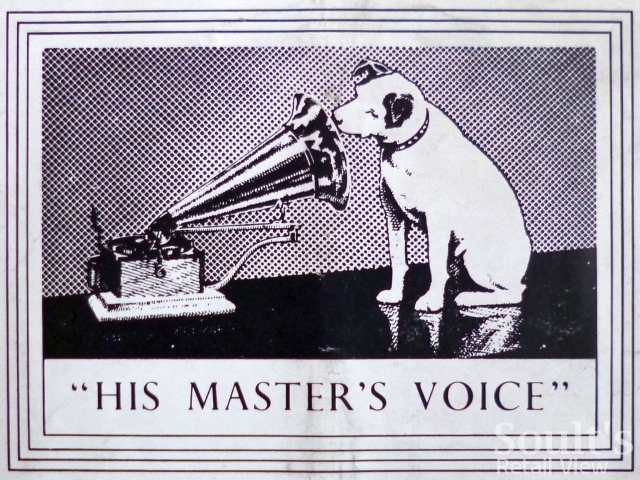 Separately, Hilco has also confirmed that it is in negotiations with a number of landlords with a view to re-establishing an HMV business in the Republic of Ireland after Receivers there closed the stores shortly after their appointment in January. 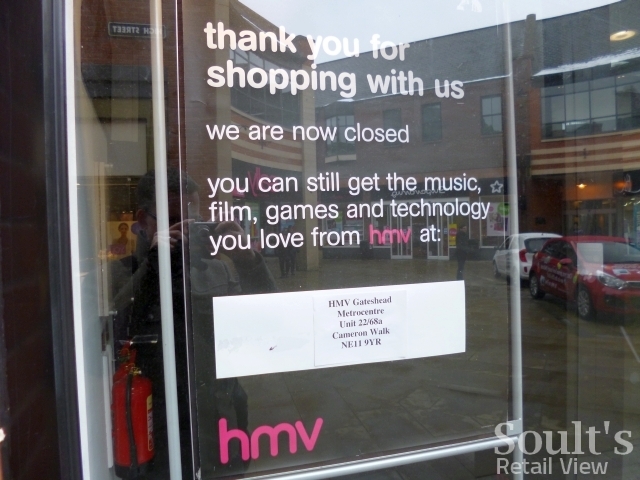 In a statement, Paul McGowan, CEO of Hilco, explained that “we have spent a number of weeks negotiating revised terms with landlords and the key suppliers to the business, all of whom have been supportive of our plans to maintain an entertainment retailer on the high street. There are going to be some changes at the top of the business too, with a new Hilco team set to work alongside existing management. The Hilco team will be led by Ian Topping, former Chief Executive of the Steinhoff Group in the UK – owner of home chains such as Harveys, Cargo and Bensons for Beds – and Henry Foster, an Investment Director at Hilco. Paul McGowan will take up the role of Chairman of the new business. 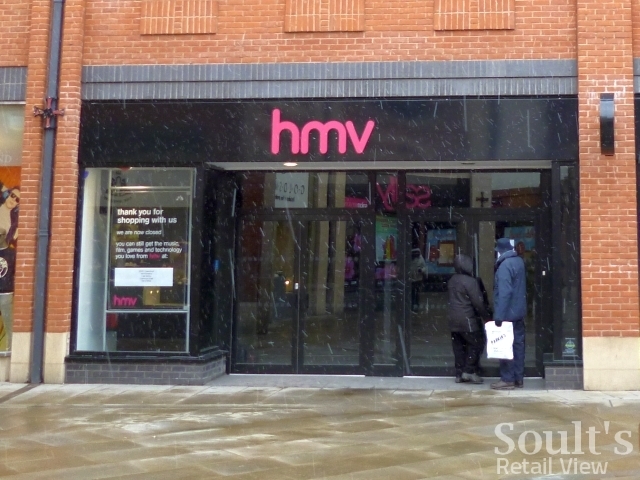 So, other than having fewer (but generally larger) stores than before, and its technology space rededicated to entertainment, what is the new HMV likely to look like? As Hilco’s Paul McGowan noted above, all the structural changes that contributed towards HMV’s collapse (and that I discussed in my earlier blog) clearly remain the case: the big supermarkets are still selling DVDs, music and games at highly competitive prices; Amazon still offers a range of physical product that no high-street retailer can possibly match; and iTunes and others are profiting from our desire to access music instantly via our computers, iPods and other mobile devices. 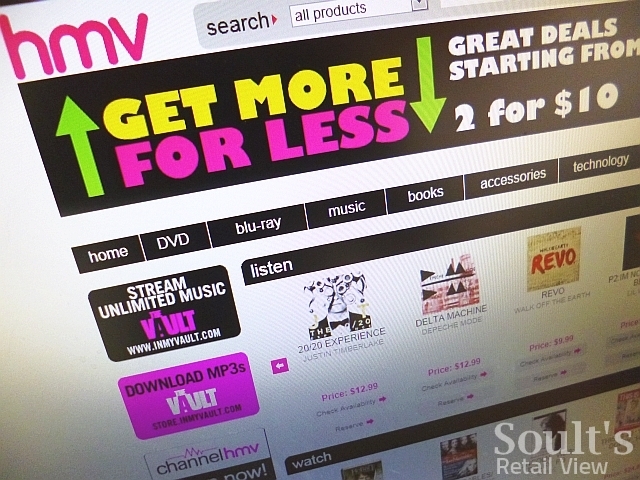 However, though Hilco is sometimes portrayed as a “vampire” that “preys on dying brands”, its experience in running – and increasing sales at – HMV Canada since 2011 does bode well. 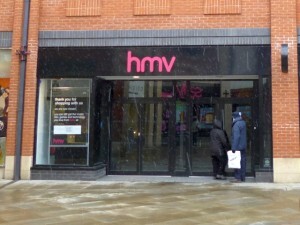 When Retail Week’s Alex Lawson analysed HMV Canada’s success back in January, he highlighted – as Paul McGowan from Hilco has – the lesser competition in the Canadian market and the fact that digital downloads are still a smaller proportion of that than in the UK. However, Hilco’s work in getting the range and pricing right, building loyalty, developing a more compelling “combined retail and online offering”, and generally “focusing on providing an excellent shopping experience” are all steps that could make a positive difference in the UK. 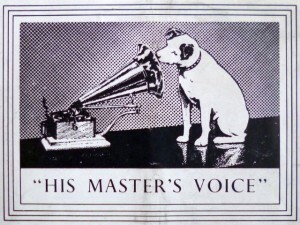 As Hilco’s statement this morning has noted, “the reaction of the British public to the administration of HMV shows a strong desire for the business to continue to trade and we hope to play a constructive part in delivering that.” Clearly, alerted to the potential loss of HMV from the high street, many shoppers felt the urge to show their support for the business – and that sense of goodwill, and a desire for HMV to succeed, is a potentially incredible resource for Hilco to tap into. In turn, it will need to focus on many of the things that I highlighted back in January: building on HMV’s heritage as an entertainment specialist to begin conveying real passion for the product again; exploiting the incredible asset that is its staff – who have been brilliant throughout these three months of uncertainty; and, crucially, offering customers experiences that simply can’t be replicated online, while still looking to embrace multichannel in a more joined-up and convincing way than has been the case to date. Hilco’s initial comments, and the experience from Canada, suggest that it recognises this too. 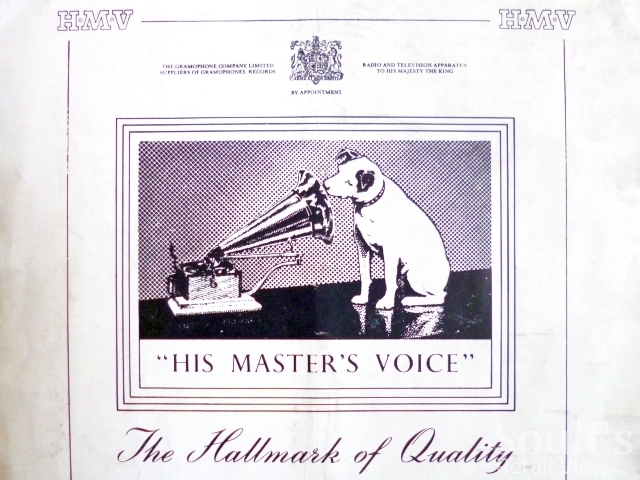 Digging around in my files, I happened to stumble upon a 1951 programme for a ‘Grand Tour’ by the operatic soprano Joan Hammond, featuring a lovely advert for HMV on the back cover (above). 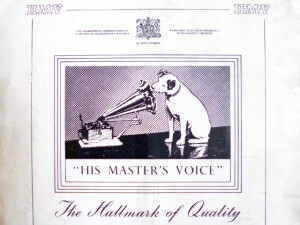 It includes the iconic and familiar image of Nipper and the gramophone, along with the slogan “The Hallmark of Quality”. Sixty years on, the Nipper logo remains but the way we consume entertainment has been transformed beyond all recognition. I’d argue, however, that a modern “hallmark of quality” – in terms of the overall customer experience, across all channels – is exactly what will allow HMV to build a secure and successful future for itself. Thanks Brian – it’s already bookmarked to read later!